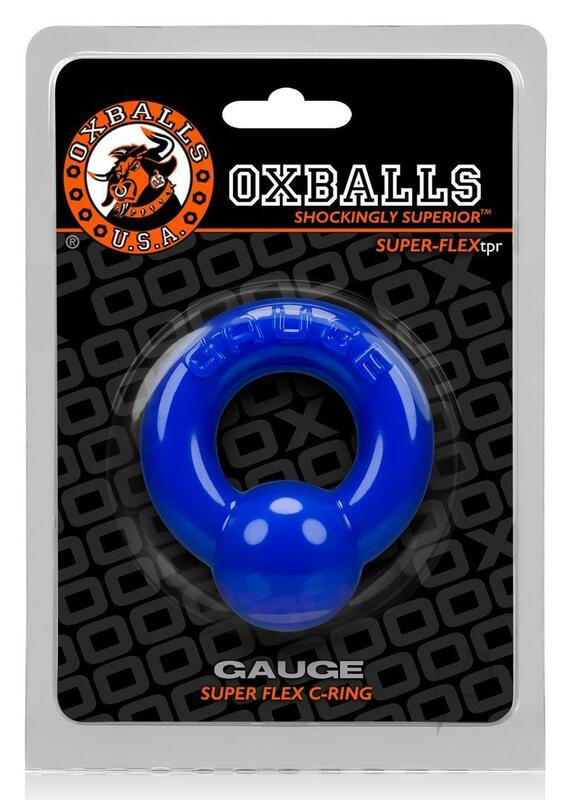 Prince Albert, Ampallang, Guiche?at OXBALLS�, if it can be pierced we?ve heard of it, seen it, or hell?even have one ourselves. Now, you can add some steel to your meat without having to worry about any needles or rough rigid metals?introducing, the GAUGE cockring. Don?t let the heavy-metal design fool you, it?s made from our new SuperFLEXtpr? so it?s super squishy and blubbery to the touch. 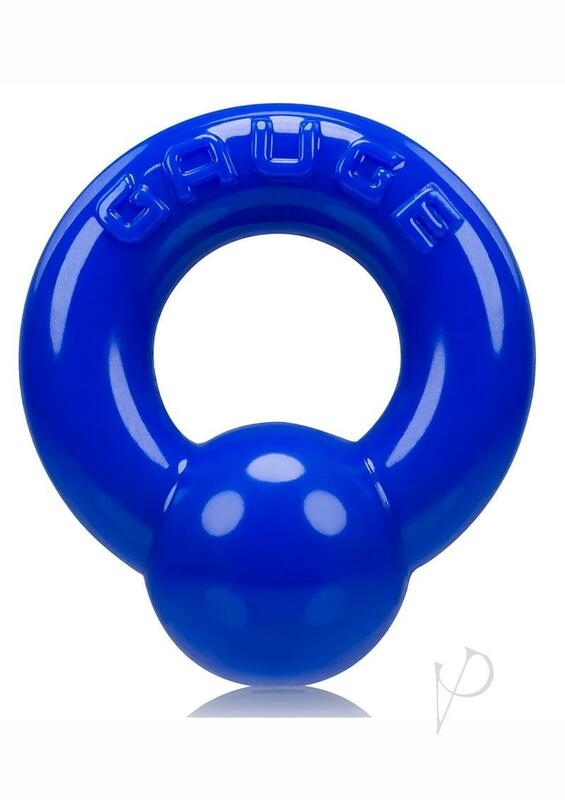 GAUGE?s super stretchy material and unique design are perfect for comfortable wear and use?. no digging or pinching like metal or other rigid cockrings. Depth: .5 ? 1 in.